The influence of Marisol Bueno and Javier Mareque on the founding and development of the DO Rías-Baixas and its primary variety Albariño can be traced back to their purchase, in 1979, of an ancient 16th century country estate, its kiwi orchards and old-vine Albariño vineyards. Located in the town of Meis, within the sub-zone of Val do Salnes, Pazo Señorans lies in close proximity to the sea on acidic, sandy soils created by the natural decomposition of the granitic bedrock below. Early on they recognized the potential of Albariño and were instrumental in the creation of the DO just a decade after they arrived in Meis. Galicia, historically, geographically and culturally is a fascinating part of Spain quite distinct from the rest of the Peninsula. Widely known as Green Spain the climate is moderate and can be surprisingly cool in the summer due to the region's embrace of the chilly Atlantic Ocean. Located at the terminus of the famed El Camino, the area has always been rather cosmopolitan, affluent and independent. It has never been conquered nor occupied so neither religious strife nor feudalism gained a foothold here. The majority of the land has been in the possession of the local inhabitants who have turned the landscape into a network of small farms, cottages and tiny villages surrounding the bustling port cites of the coast. Pazo de Señorans is somewhat an exception in this history. A complete manor house with a wide array of outbuildings including a chapel and the largest surviving hórreo (the distinct, elevated barn typical to Galicia) in the DO. Testament to the turbulence of having a noble title in a land of fiercely independent farmers the estate preserves an ancient "panic room" which the family could retreat to during turbulent times. Near the panic room is the original winery on the property consisting a stone lagar and stone fermentation tank dating to the founding of the estate. 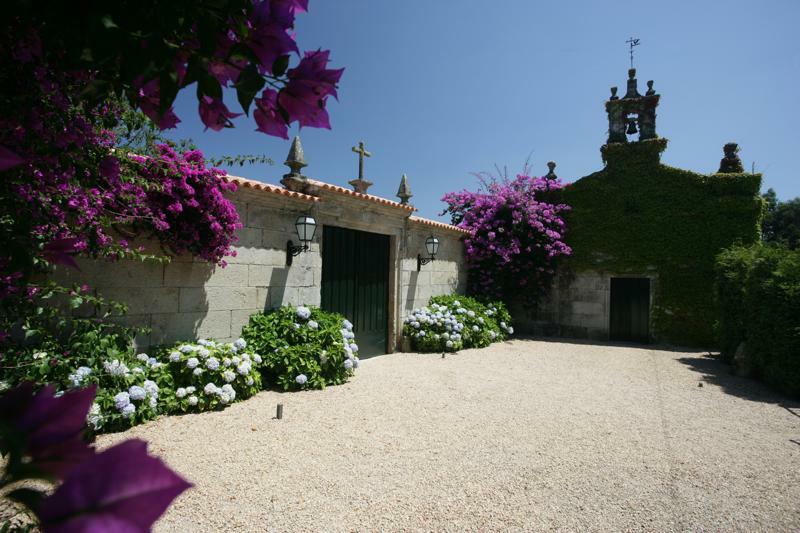 Surrounding the Pazo are 18.5 hectares of vines but the estate purchases fruit from their neighbors as well which is fairly typical in Rias-Baixas with its myriad of minuscule garden-vineyards. Mostly grown on pergolas, their Albariño, is hand harvested into small crates in September and quickly transported to the winery to be crushed and pressed. Separate vinifications are conducted by plot in temperature-controlled stainless steel tanks. To retain freshness, malolactic fermentation is blocked and the wine is allowed to age on its lees for at least four months with frequent bâtonnage. Bottled early each year following the harvest, it is an example of the fresh, crisp and vibrant style that has defined the region. One vineyard site, Los Bancales, planted with some of the oldest vines on the estate, now over 45 years old, is kept in tank, on its lees for a full 30 months. Aged in bottle for at least an additional year it is released under the name Selección de Añada. Originally an experimental cuvée for the family to enjoy and prove the age-worthiness of Albariño, it has become a benchmark wine in the DO.